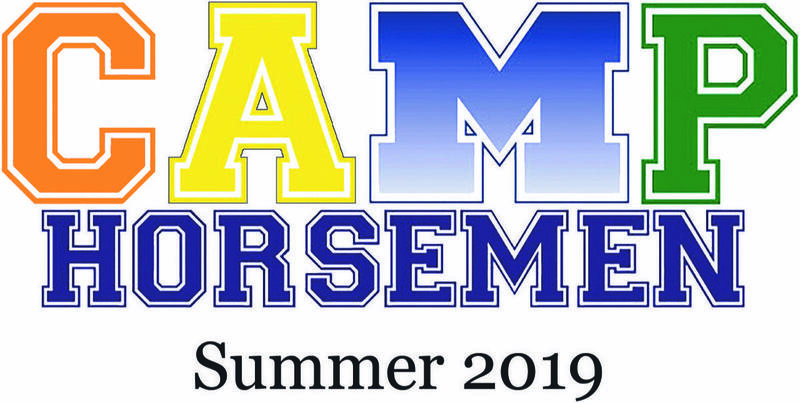 At Camp Horsemen, St. Michael's High School offers the best and most affordable summer camps for kids entering grades 1 - 9. Our goal at Camp Horsemen is for every camper to try something different, develop a new skill, increase their confidence, make a new friend, and most importantly have a lot of fun! All of our camps are led by individuals who have years of experience and expertise in their fields. Additionally, St. Michael's students, athletes, and artists are involved with all of our camps, an aspect that only we can offer and a dynamic that camp attendees truly enjoy. Open to all boys and girls entering grades 3 - 9, campers will spend time developing the fundamentals of the game: shooting, offensive moves, defense, rebounding, and more. Campers will also spend time, every day, putting the fundamentals into action as they participate in team play. Basketball Camp Week I will be led by head Horsemen basketball coach David Rodriguez and current players. Campers should wear appropriate shoes and they should bring a water bottle. Lunch will be provided Monday - Thursday. Lunch will not be served on Friday. Click here to register. Math Enrichment, for kids entering grades 7 - 9, will be offered Monday - Friday for three weeks. It is designed for students who want to brush up on their current skills, get a preview of what's to come, or get a jump start on next year's math class. The class will primarily focus on pre-algebra/algebra. Please note that this class is only offered to current or incoming St. Michael's students. 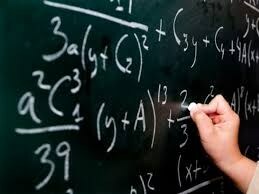 St. Michael's math department faculty will teach the class. Please click here to register. From beginners to veterans, the St. Michael's Football Camp will prepare boys and girls to hit the gridiron. Stressing the fundamentals of the game, campers will participate in drills that will allow them to develop their speed, strength and agility. Football Camp will be led by head Horsemen football coach Joey Fernandez and current players. Campers should wear appropriate shoes and they should bring a snack and a water bottle. Campers should also wear sunscreen. Click here to register. 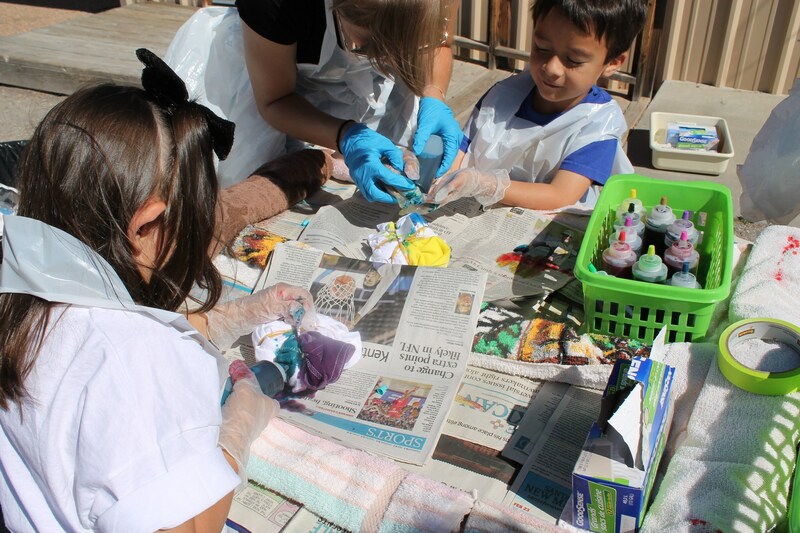 Art Camp will foster creativity and curiosity within each and every camper. Campers will participate in a range of exciting activities while they explore different mediums. St. Michael's Art Camp will help young artists gain self-confidence, self-awareness and independence as they develop the creative process. Campers need to bring a water bottle, snack, and lunch. Additionally, campers should wear comfortable clothing that can get dirty, and they should wear closed-toe shoes. Click here to register. Whether you are brand new to the game or have been playing for years, this camp has something for everyone! Girls and boys will learn the important aspects of the game, including passing, blocking, and hitting. Each day campers will also participate in team play. Volleyball Camp will be led by Horsemen volleyball coach Valerie Sandoval and her State Championship volleyball team. Campers should wear appropriate shoes and they should bring a snack, lunch, and a water bottle. Click here to register. Baseball Camp is designed for every level of player. Boys and girls will work on the core fundamentals of baseball: hitting, throwing, fielding, base running, and speed/agility. Drills are designed to be skill-level specific so each camper gets the most out of camp. Baseball Camp will be led by Horsemen head baseball coach Augustine Ruiz and current players. Campers should wear appropriate shoes. They should bring a snack, lunch, and a water bottle. Campers should also wear sunscreen. Click here to register. Open to girls and boys entering grades 2 - 8, Campers will spend time developing the fundamentals of the game: shooting, offensive moves, defense, rebounding, and more. Campers will also spend time, every day, putting the fundamentals into action as they participate in team play. Basketball Camp Week II will be led by head Horsemen girls basketball coach Martin Esquibel and current players. Campers should wear appropriate shoes and they should bring a water bottle. To register click here. Camp Invention is the only nationally recognized summer program focused on creativity, innovation, real-world problem solving and the spirit of invention. Created by the National Inventors Hall of Fame, Camp Invention partners with the United States Patent and Trademark Office and the Collegiate Inventors Competition, and everything we do is inspired by the world’s smartest inventors. St. Michael's is proud to have been selected to host this camp. At Camp Invention, our top priority is to provide quality programming in the fields of science, technology, engineering and mathematics. Camp Invention isn’t just about taking apart broken appliances and playing with gadgets, nor is it your run-of-the-mill summer camp. Our fun, inspiring camp teaches children critical thinking skills that will last a lifetime. Click here to register. Soccer camp is designed for every level of player: girls and boys that are new to soccer and those that have been playing for years. The camp will focus on the fundamentals of the game including dribbling, passing, and shooting, and play will take place in small-sided games, providing every player many touches. Soccer Camp will be led by the Horsemen soccer coaching staff and your state runner up Lady Horsemen soccer players.